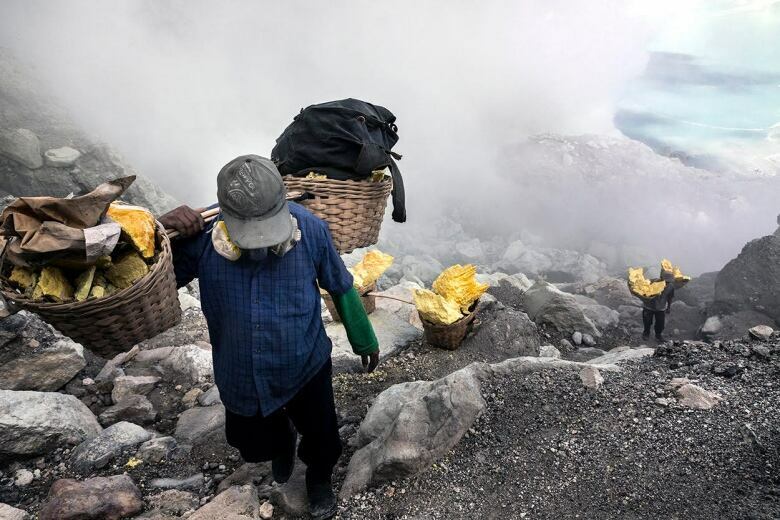 In the last year, Dr. Larry Louie photographed child labourers building ships in Bangladesh, sulphur miners on the Mount Ijen volcano in Indonesia, and a demolished village in China’s Fujian province. In his optometry office on 124th Street in Edmonton, Dr. Larry Louie looks into his patients' eyes to see if there's a problem. When he travels, he looks through the camera lens to see what story he can tell. 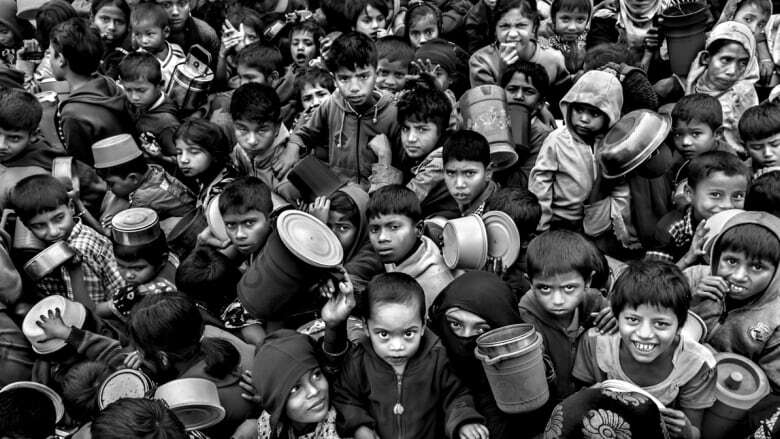 Louie's photograph of children waiting in line for food at refugee camp for Rohingya people from Myanmar recently earned him first place in the photojournalism (professional) category of the 2018 Monochrome Awards, an international black-and-white photography contest. The kids in the photograph had been waiting in line for an hour to receive their morning rations of rice and dal. Some were waiting for a portion for themselves, while others were also waiting for food for family that was either ill or elderly and couldn't wait in line, Louie said. Louie said he had to get in close to capture the striking image he made using a wide-angle lens. "They're going to notice me, a lot of them are very bored," Louie told CBC Edmonton's Radio Active on Thursday. "Waiting for their food, there's nothing for them to do other than look and so they are very curious about foreigners." 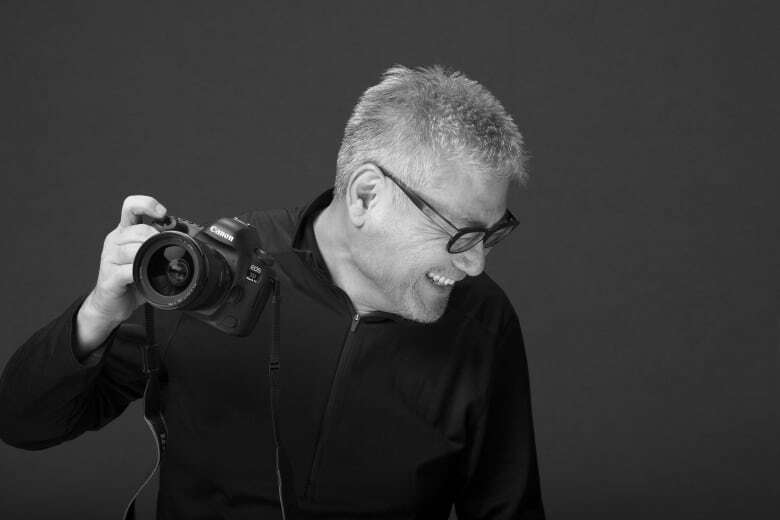 In the last year, Louie has photographed child labourers building ships in Bangladesh, sulphur miners on the Mount Ijen volcano in Indonesia, and a demolished village in China's Fujian province. "You've got to feel very comfortable in your own skin because you are going to be stared at," Louie said. 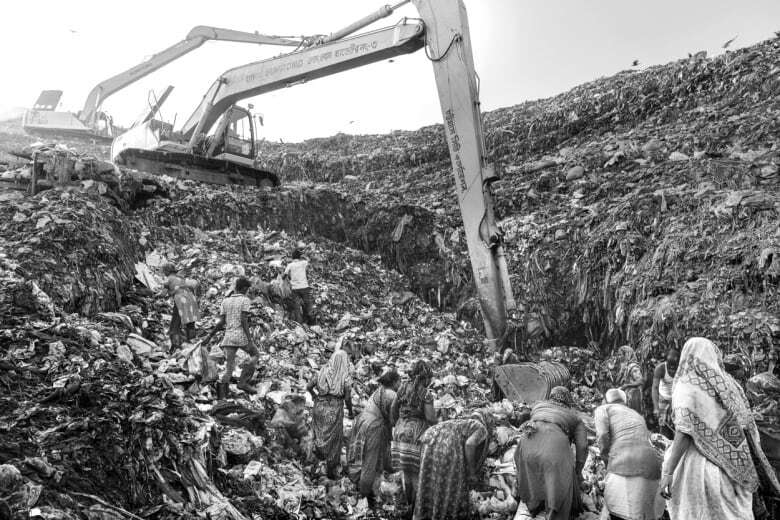 "When you walk into a slum, a garbage dump, a refugee camp or anything like that, where you're outnumbered 1,000 to one or 10,000 to one and you don't belong there, they know you don't belong there." Louie said working as an optometrist has helped his photography. "You have to connect with the people," he said. "We just don't go into a scene and just start snapping away because that will just intrude the personal space of these people and that will show in the photograph. "You want to make sure that you have compassion for these people — that you create some sort of a relationship, even though it may be very short — but that's what I learned through optometry, because as an eye doctor you have to have compassion for your patients." 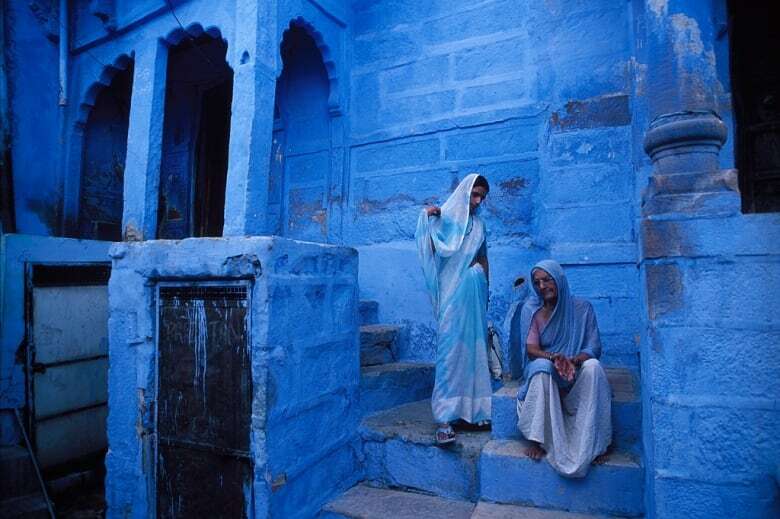 Louie's life as a world-travelling photographer began in 2005 when he placed second in a National Geographic competition for his picture of two women in Jodhpur, India, sometimes called Blue City. Louie said he wanted to become a photographer before he studied to become an optometrist, but it wasn't until he saw an exhibition of photographs by Josef Koudelka in New York that he was inspired to focus his work on human resilience. "That inspired me to consider doing documentary photography with more of a purpose to it, not just photographing for the sake of having a beautiful picture," he said, "photographing in terms of telling a story of human struggle and human triumph — the story of where life is not that simple, but life is still worth living." 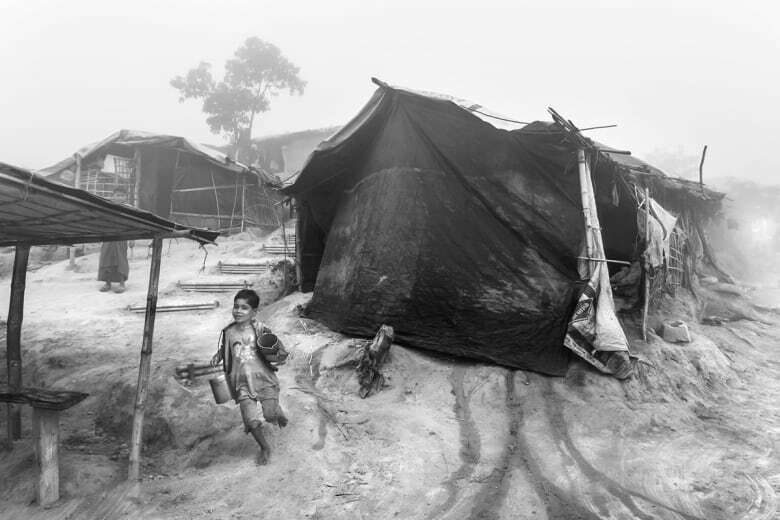 Louie took the Rohingya refugee camp photos on a 2018 trip to Bangladesh. A photojournalist friend he had met through previous non-governmental organization work asked that he make a donation to a group helping Rohingya refugees. Louie agreed to give a donation on the condition that he could see the crisis first-hand. He said seeing such struggles in person can be difficult, but he finds the work rewarding. "I'd like to continue further with that project of celebrating humanity," he said. "To be honest, it gives me a tingle in my fingers. I love it."